A large portion of the calls I get are from homeowners wanting to know where their property line is to build a fence, or check whether their neighbor’s fence, or other improvement, is over the line. Knowing where your property lines are on your property is one of the most important things to know when planning for a fence. While most fence contractors will require you to have a surveyor come out and mark the property lines before they start, some contractors will try to do this themselves. 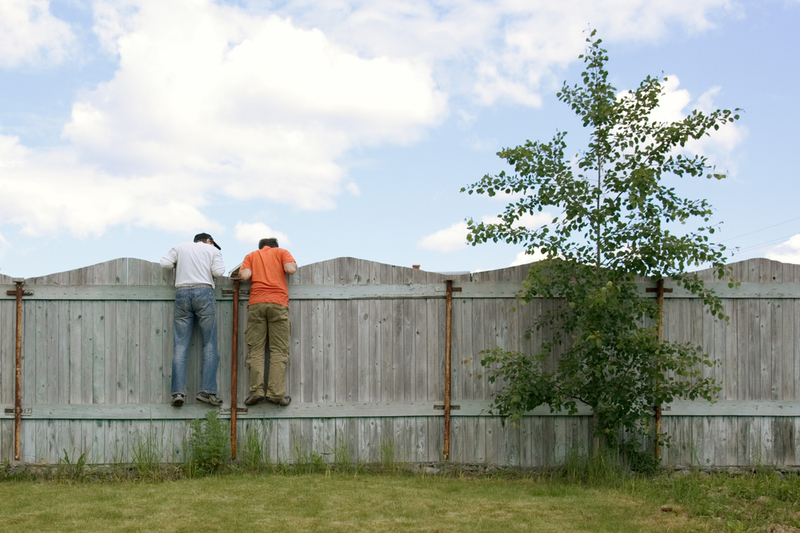 Skipping this step can cost you more than the fence cost. Even though the article writer (no name given) said that “hopefully, you won’t have to hire a surveyor” you should heed my advice on this one, get a surveyor to find and mark your corners. The writer also said that “a full survey could cost more than the fence.” From my experience, a fence can run anywhere from $10/linear foot for chainlink, to $20/linear foot for a wood privacy fence, or higher for more elaborate or ornate fences. Most lot line surveys, for less than an acre lot, will run anywhere from $400 to $600. In my area, I see them normally at about $500 max if the pins are still in. You’d have to have a pretty short cheap fence to cost less than a survey. AND, who wants to move the fence when you find the corners your contractor marked are wrong. If you want to save some money, do the research for the surveyor before you call to get a price. You should get a copy of your deed, scan it to PDF of take a legible photo of it. And, if you live in a subdivision, get a copy of the subdivision plat that is recorded in the Probate Office. Sometimes you can get the Probate office to email this to you. You should send all of your research to the surveyor. I want to add that a “good fence” is built along the property line. THAT will make good neighbors. Sometimes it has to be 14 feet high, barbed and electric. If you need to know where your property lines are located for a fence or for any reason, call a land surveyor. To talk about your fence construction job, call Nashville Land Surveying at (615) 645-1404 today.